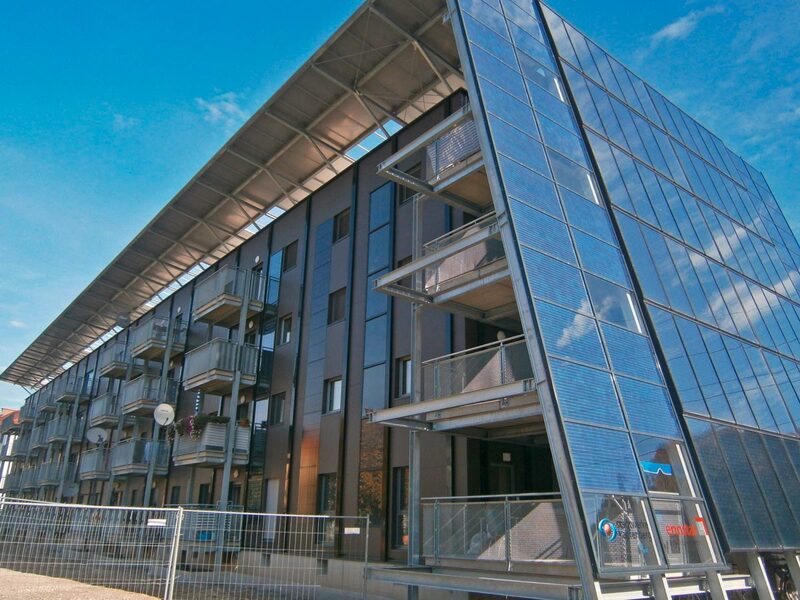 Just how efficient solar heating can be in supplying heat is revealed by the innovative way a block of flats in Kapfenberg (Styria) has been renovated (architecture: Nussmüller Architekten ZT GmbH). The building dated from the 1960‘s; as part of comprehensive renovation it was equipped with novel active and passive façade elements (solar collectors and PV) largely developed by AEE INTEC (cf. eia 1/2013). The building‘s thermal envelope and the energy supply system are matched in such a way that, year on year, the building captures more energy than its occupants consume for space heating, hot water and domestic electricity. The solutions demonstrated in Kapfenberg for renovating large-volume buildings to the most demanding energy standards are a benchmark for future renovation projects involving buildings of that period. 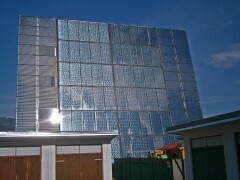 The building‘s base-load heat supply comes from solar collectors mounted on a spaced-off façade on the south face of the building. The nerve centre of the system is located beneath the façade. A total of 144 m2 of thermal collectors were installed, with a theoretical yield of 39 500 kWh per year. 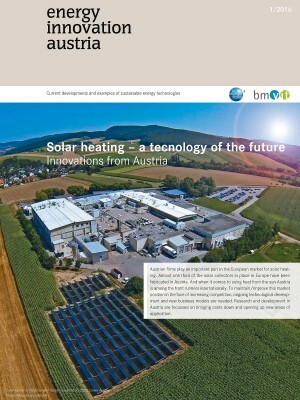 Residual energy is covered by the Kapfenberg district heating grid, largely by means of waste heat from a nearby steelworks (Böhler-Werke, a 100 % subsidiary of voestalpine AG). The heat exchanger in the heating substation has a rating of 115 kW. Heat is stored directly in a central heat storage tank with a capacity of 7 500 liters; the tank is stratified into layers at differing temperatures by means of a layerwise charging pipe. This tank is located just beneath the solar collectors, which keeps the lines between the collectors and the tank short and thus minimizes heat losses. Heat from the tank is distributed throughout the building via a twin-pipe grid, in which a shared inflow and return line runs through the building; the heat transfer medium employed is hot water. Domestic water for individual flats is heated in hot-water boilers, which are charged at fixed times (twice a day) as and when the need arises. This arrangement keeps heat losses in the distribution system low, since the maximum temperature of 55 to 60 °C in the distribution grid is needed only at these charging times. At all other times the inflow temperature (at most 45 °C) determines the temperature in the grid. As the floor plans of the flats were altered in the course of renovation, the limited space required for the boilers could be taken into account. Because the standard of thermal insulation resulting from renovation is so high, heat is delivered in the flats via low-temperature radiators. Other systems, such as skirting-board radiators or panel heating units, would be equally suitable, but were ruled out in this case by the high investment cost involved.